Caroline County Fire – Rescue and Emergency Management is a combination volunteer and career fire and rescue department that is responsible for providing fire protection, emergency medical services, and special rescue services to our citizens as well as those who pass through our county. 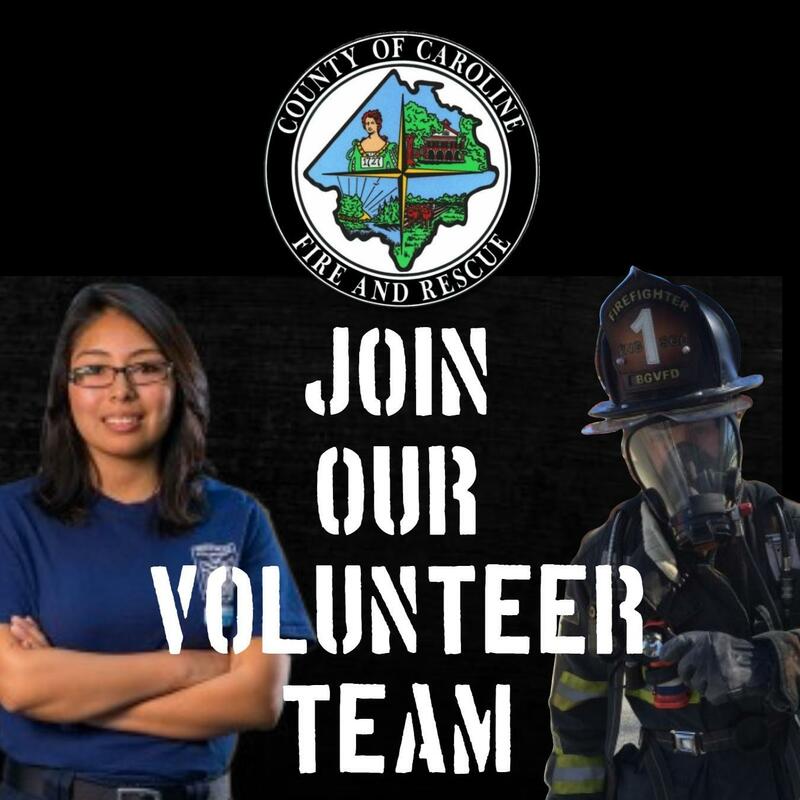 A workforce of approximately 200 volunteers and 60 full and part time career responders serve a resident population of 29,300 in an area of 531 square miles. CCFR is responsible for the protection of 97 miles of primary roadways in Caroline County including Interstate 95, US 1, and US 301. Caroline also helps protect major a petroleum pipeline and primary Virginia railway lines for Amtrak and CSX corporations. These transportation systems carry millions of gallons of petroleum and hazardous chemicals each year. Caroline's Emergency Management program supports operations within the North Anna Nuclear Power Plant's emergency protective zone. This commitment requires extensive training for radiological emergencies including field monitoring and sheltering. The Department proudly offers mutual aid support to the Fort AP Hill military base. This base covers some 77,000 acres within Caroline County. The Department's six fire stations and two rescue stations respond to approximately 6,200 emergency calls per year. CCFR operates a fleet of 55 emergency vehicles and maintains an ISO rating of 4/8B. The Department provides EMS transports to approximately 2,300 patients a year to hospitals in both the Fredericksburg and Richmond regions. The Fire and Rescue Administrative Offices are located at 233 W Broaddus Ave, Bowling Green, VA 22427. Hours of operation are Monday through Friday, 8:30 a.m. to 5 p.m. The non-emergency phone number is (804) 633-9831. Please do not hesitate to call or stop in if you have a question or issue related to emergency services. To provide the citizens of our county and those who may pass through with the most proficient delivery of fire protection, emergency medical and disaster related services that can be accomplished by prudently using all resources available to us with special focus on the most valuable resource, "Our People".